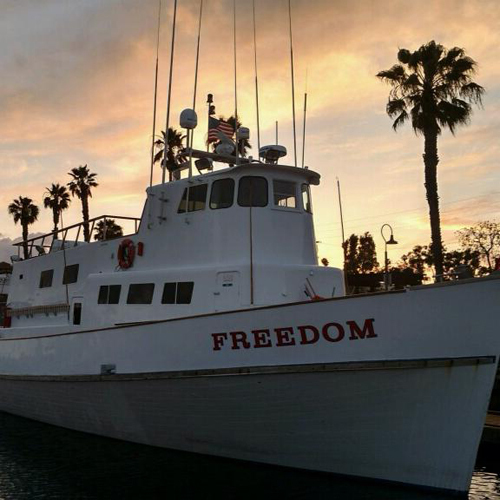 Captain Jeff Jessop called in tonight at 7:08 PM from the Freedom out of 22nd Street Landing in San Pedro, CA. We are having a nice evening bite. We have 23 Bluefin Tuna and 1 Yellowfin. We have two fishing hanging right now. We have had a steady plunker bite. There was one nice fish well over 100 pounds that we lost at the boat. The connection failed. We have plenty of trips coming up including an overnight trip this weekend an a 1.5 trip this coming week. Check our schedule for the details!